Valentines Day is all about Love and Romance. We thought of celebrating this Valentines Day with our bloggers by making them pen down their feelings and linking it with perfect and Destinations. 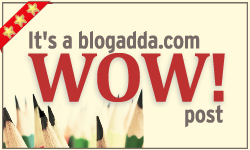 We were overwhelmed with the response and you should not miss what our bloggers had to say.